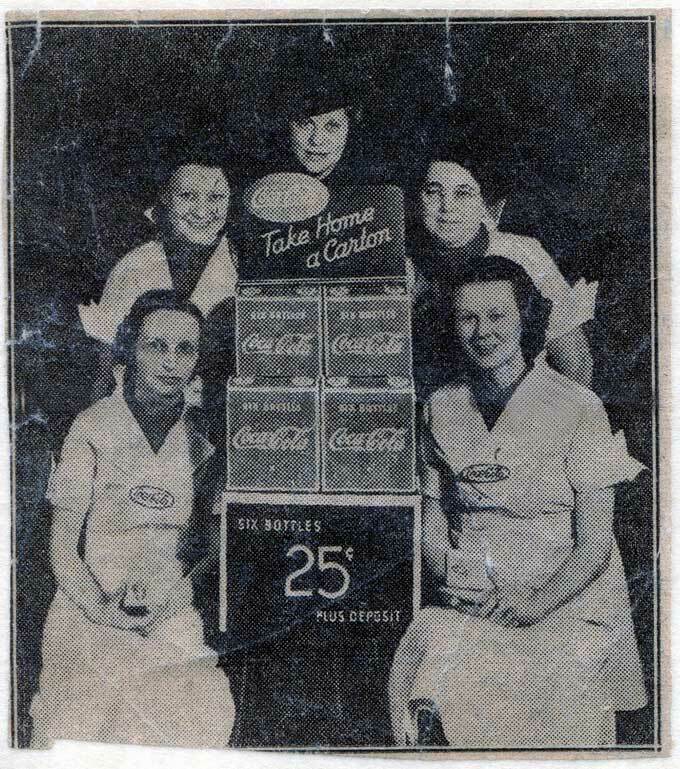 Back in the 1930s, when the Great Depression made life rather difficult, my grandmother Gladys was a Coca-Cola girl. That’s her, sitting on the left. She’s holding a bottle opener and it was her job to install these in people’s homes. Of course, this vintage advertising is fascinating. Isn’t it amazing how the Coca-Cola logo is still iconic today? And do you think these women could ever have imagined how collectable their work items would become—the bottle openers, the cases of soda, or, best of all, their dresses? From a marketing perspective, this news clipping is cool and all, but what’s really special is how it represents my grandmother. As we all know, jobs were hard to come by in the 1930s. My grandmother lived in Lansing, Michigan, a city forged in the automobile industry. When the economy crashed, this town of blue-collar, everyday people was hit particularly hard. On top of that, Gladys had three young boys and an irresponsible husband. So when she could get a job like installing bottle openers, you can bet she darn well took it. I’ve been thinking of my grandmother this month because it’s Women’s History Month. Every day the media showcases famous women like Eva Peron, Argentina’s advocating former First Lady; or Sally Ride, the first American woman in space; or Marissa Mayer, whose controversial leadership is dominating the news. But women like my grandmother—both my grandmothers, actually—are as laudable as any of them. My grandmothers steadfastly stood their ground and did whatever needed to be done to care for their family. They volunteered and contributed to society. They made the world a better place. It’s so exciting to be a woman today. Our opportunities are monumental, thanks to those women before us. I’m not just talking about careers, although this bar certainly is higher. I’m talking about life as a whole. All of us, no matter what God-given role we embrace, are important in the overall scheme, and society today enables us to do our thing so much easier. What’s your role right now? How is it different, compared to the same position held by women years ago? How do women today positively impact the future of others?